This time we dive into one of John’s favorite genres: Westerns! 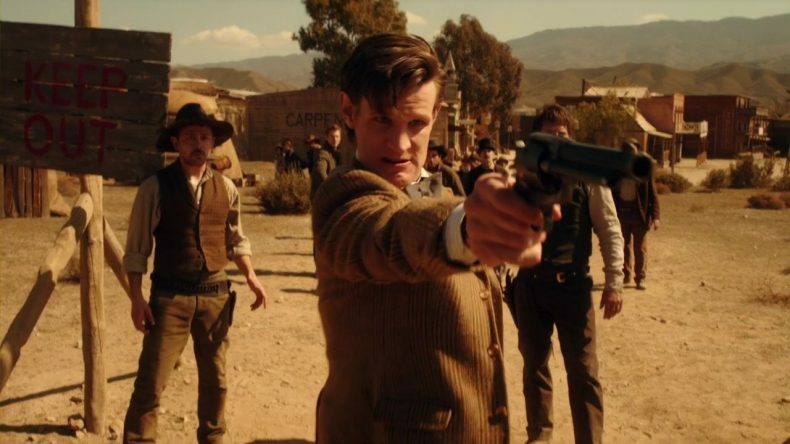 How has Doctor Who only had two westerns in 50 years? Are they all morality plays and who has the most redemptive arc in this episode? Taylor enjoys the fact that we can now forcibly connect the Farscape and Doctor Who universes. We marvel at the music, the acting, and the cosplay possibilities! Also, Who News as we enter the final stretch before the Christmas Special! Grand Moff Steven is Coming to Gallifrey One!